Phnom Penh, Cambodia, June 2018 – Growing up without a father is very hard for any child but imagine if you were in sixteen-year-old Ang Meng Eang and his two siblings’ shoes, a group of children who have endured an exceptionally tough life. 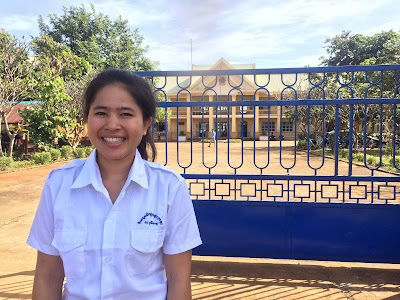 Mondulkiri, Cambodia, June 2018 – Sohka Dian is a grade 12 student in Sen Monorom, Mondulkiri Province. He is a shy and kind boy with a warm smile who, despite significant hardship, is completing his education. Cambodia’s new iodized salt certification logo. Phnom Penh, Cambodia, June 2018 – The Government of Cambodia, with support from UNICEF, launched Prakas 85, a new government policy which sets salt manufacturing standards and includes the introduction of a new logo for the certification of iodized salt.